The Garden House is the perfect place to station yourself while visiting Hannibal and its wonderful surroundings. The house lives and breathes the history, charm and friendliness that guests will find all along the way in their area adventures. Each room is carefully appointed with pieces from local artists whose studios are open for visits and who often offer hands-on workshops tailored to your wishes. Planning your summer and fall activities has never been easier! Plan to stay with us as you enjoy these many special events and of course, your special vacation trip! Make your reservations today! Go to VisitHannibal.com to check out this seasons calendar events of the year! Other area adventures can be explored including horseback riding, fishing and boating on Mark Twain Lake, riding a steamboat on the Mighty Miss, museums, shopping, hunting golf. Special events in Hannibal feature collector automobiles, folk life and crafts, bluegrass music, Victorian holidays and of course Tom, Huck and Becky. will show you opportunities and events around which to plan your visit. And the Garden House is near Wine Country and Civil War sites. Picnic lunches are available to accompany your adventures. Ghost Tours in Historic Hannibal, year round. Tour downtown and historic Hannibal aboard the Trolley, Van and/or by foot. Tour guides will take you to some of Hannibal's most interesting locations...both historically interesting...and interesting because of "ghost stories" attached to the buildings. 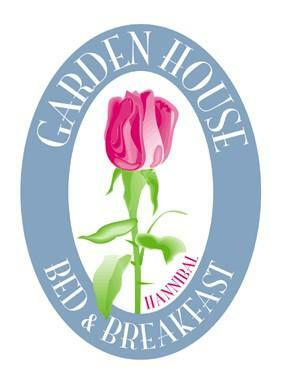 PLAN YOUR ADVENTURE TODAY, including your stay at the Garden House Bed and Breakfast!